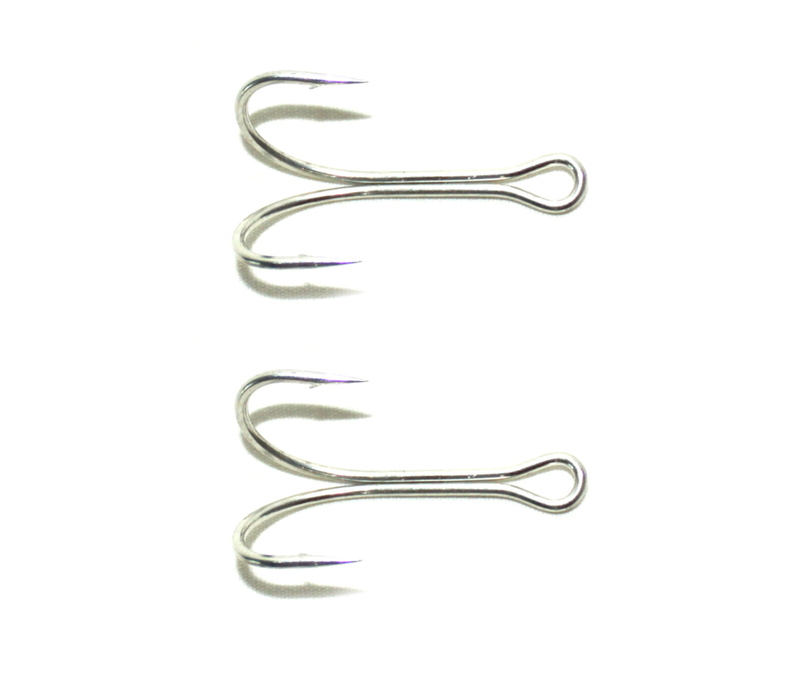 Finest quality hand dressed VMC Perma steel hooks at unbeatable price. Best quality fishing tackle at Best market prices. 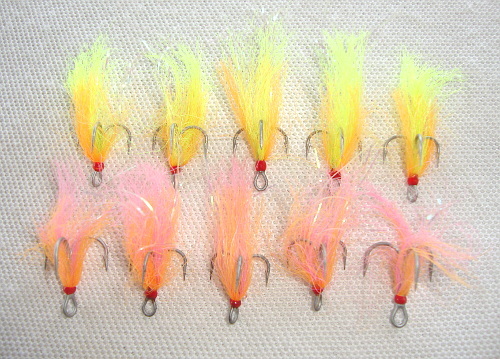 10 Hooks 2 Patterns 10 x VMC Treble hooks, Super strong Super Sharp Hi-Carbon. 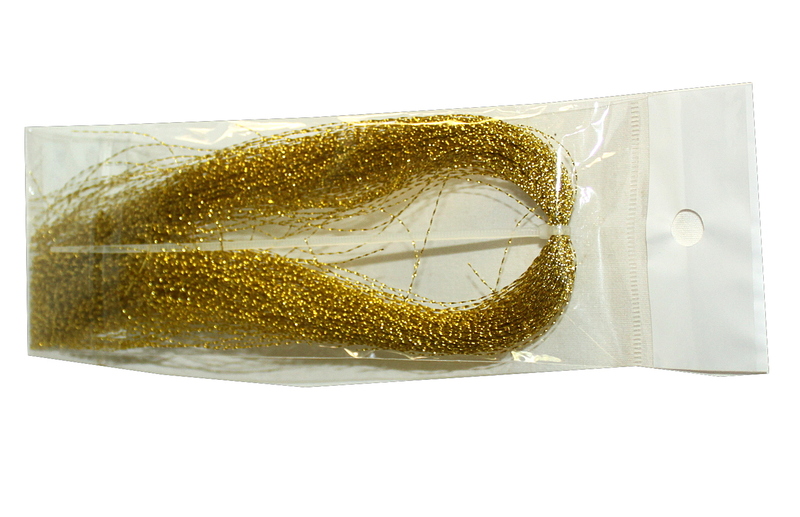 Highest Quality hand tied dressings, Flash Fur and Feather with tinsel.Sealed with resin for long lasting use. 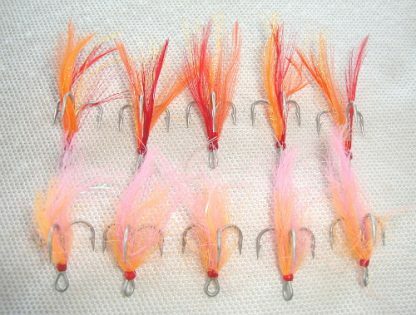 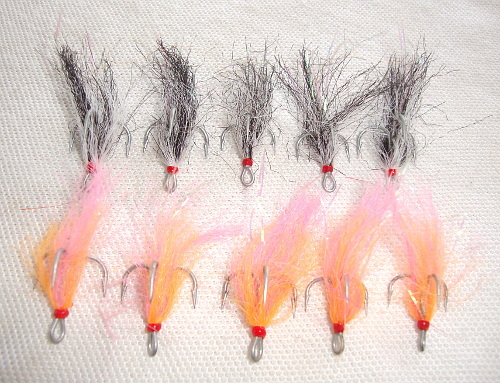 Suit Rapala F7-F11 or similar.